Spring has started – it’s time to cut the grass again. The last time it was cut was about 4 weeks ago, but it is really starting to grow now. One of the first Moraeas I got has opened. 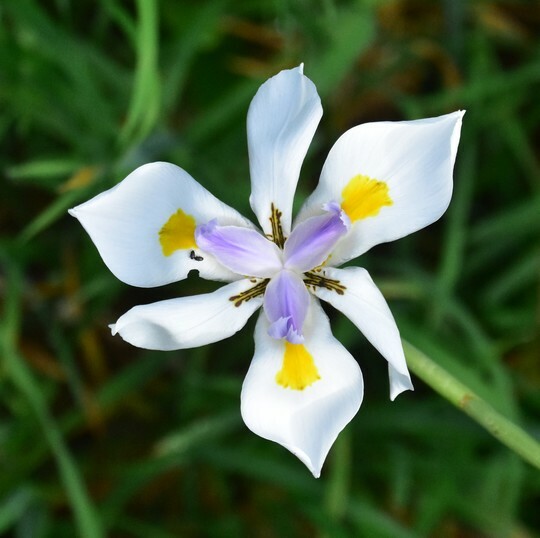 It is Moraea ochroleuca. 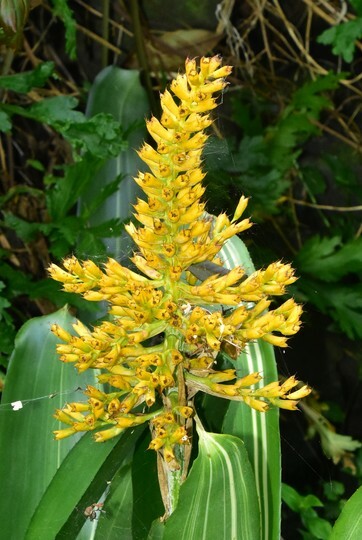 The first photo is all the stalks it has, and then a flower from above. The Sophora has started blooming. It is a small tree that I have had for about 20 years. It is also time for several bulbs that I don’t do much with. They are doing very well by being left alone. When the foliage starts to die back, I take the strimmer to the area and then let in dry out in the summer. First is a Babiana. I had bought a pack of bulbs, then it started crossing with itself, and the color has become very different than the originals. 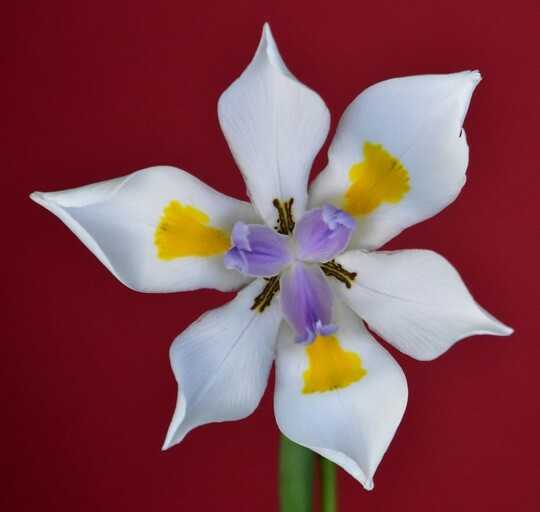 It is also the time when the iris relative, Dietes grandiflora starts blooming. The flowers will last 2 days. The Dahlia imperials continues to flower. It started in November and is still going strong. 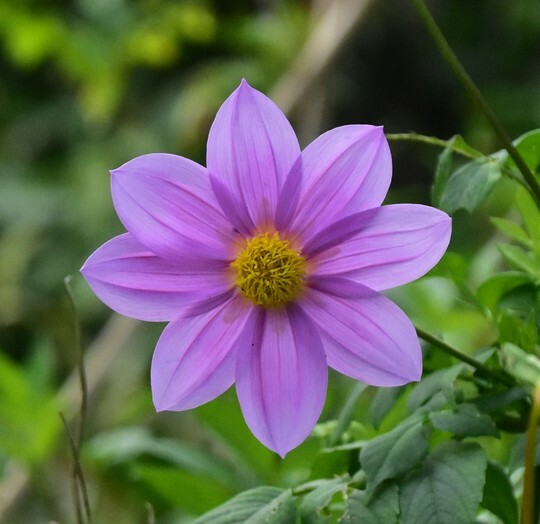 Sometimes it is called the Tree Dahlia because it is 10 – 15 feet tall. 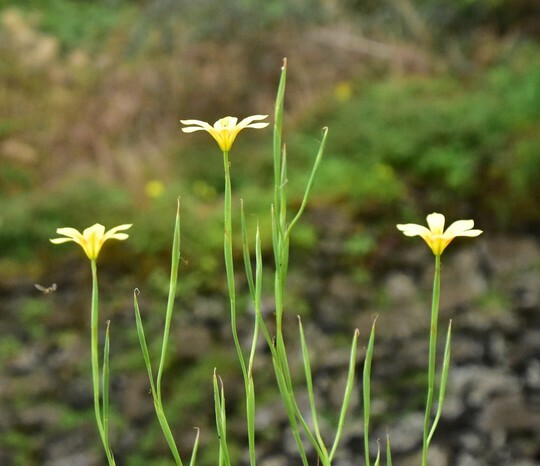 In the spring, it is mostly single flowers. 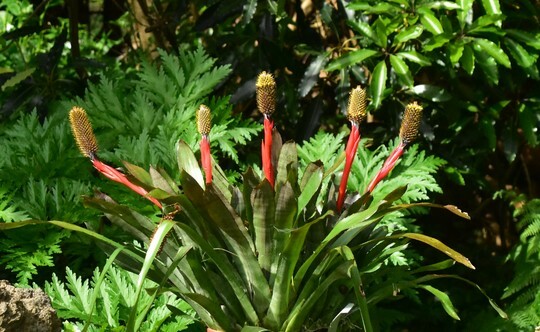 Another Aechmea, A. pineliana var. 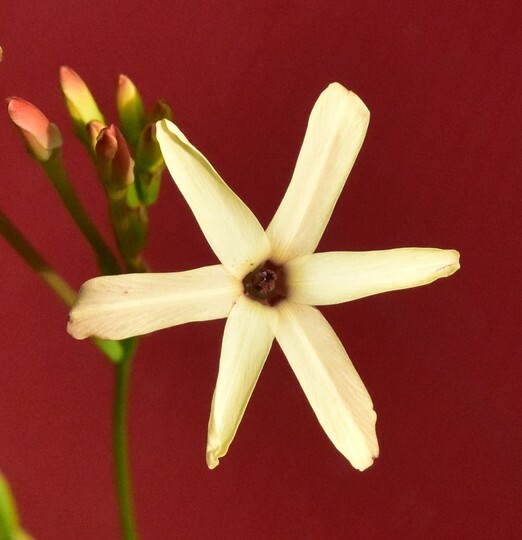 minata has flowered again. The foliage in the background is Geranium maderense, which is worth growing just for the leaves. a lovely collection. 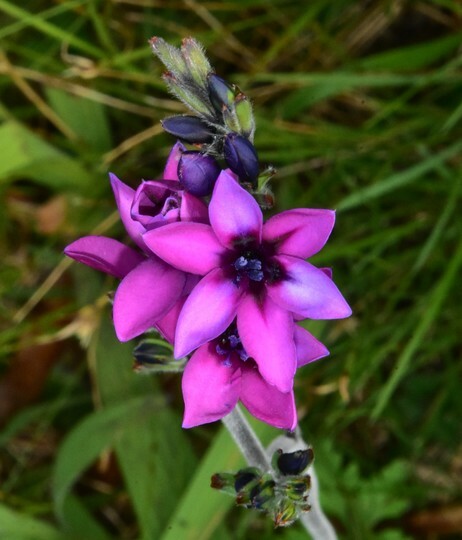 I tried babiana a few years ago and they were gorgeous but they didn't survive the winter. I have G maderense and its leaves are just starting to show. I also love the colour of the flowers. 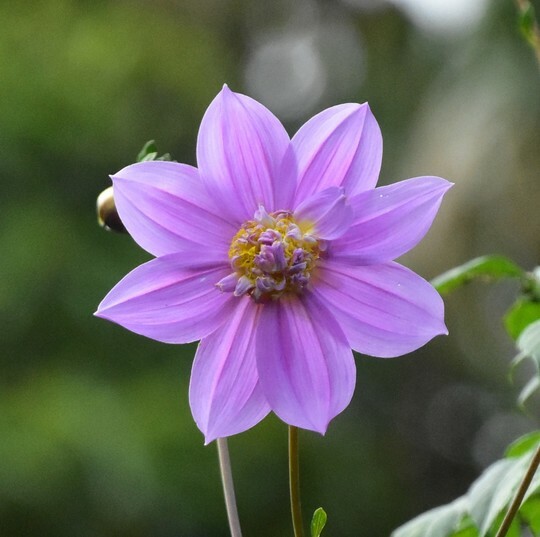 Sadly the tree dahlia wouldnt be hardy in my garden. I would have to lift it every year. I would love them. Your way with the camera brings out the best. Lovely to see Dietes . . . saw them once on Kangaroo Island in Oz but couldn’t grow them in the UK. Thanks! I first saw Dietes when the ship I was on (the USS Midway) pulled in to Fremantle - the port for Perth, Australia. 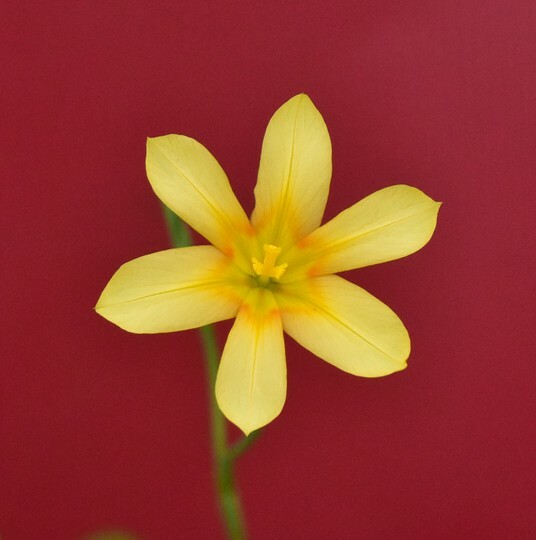 It was growing along some railroad tracks. The tree dahlia never dies back like other dahlias, so I would not like to try moving such a huge plant around. It has become as wide as it is tall. 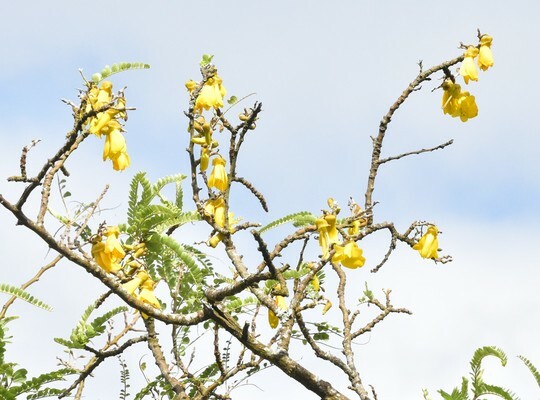 I have been pruning the Sophora back, and it seems to be getting fuller in those areas. Hope it thickens up nicely.